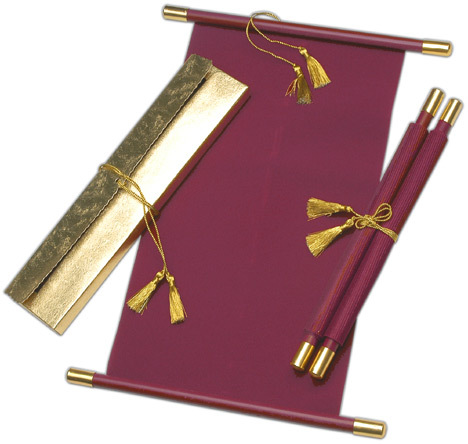 Velvet scroll & box and matching paper envelope. 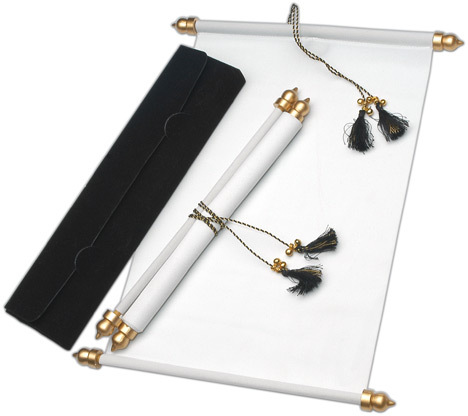 The scroll speaks of design through its golden & brown combination bars and golden zari tassel. 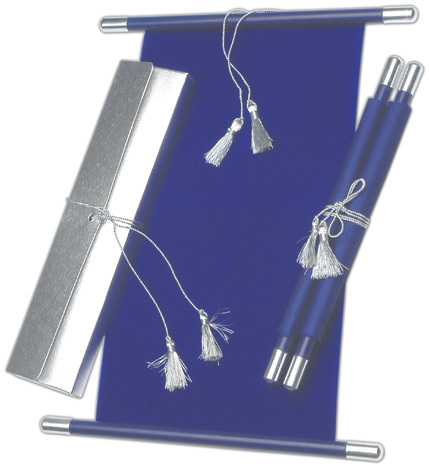 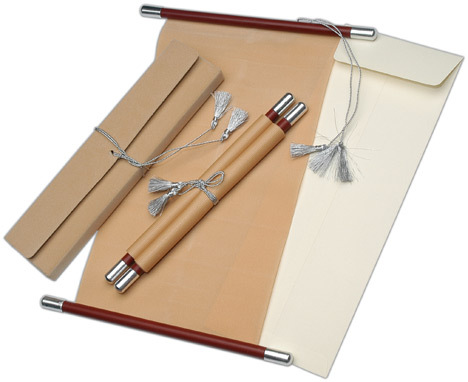 The plain box envelope has the golden or silver tassel for tying. 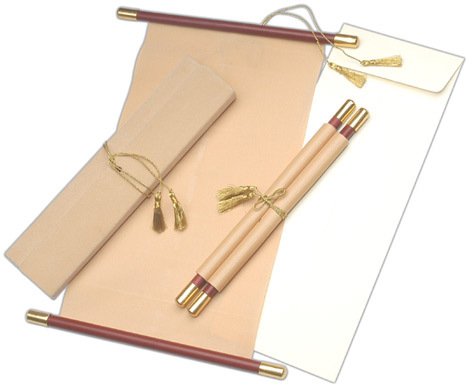 Matching mailer envelope included. 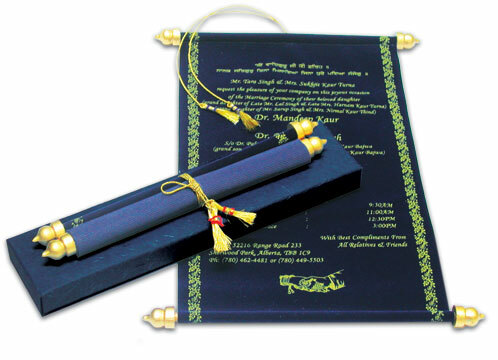 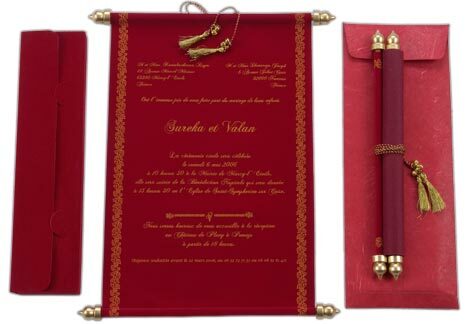 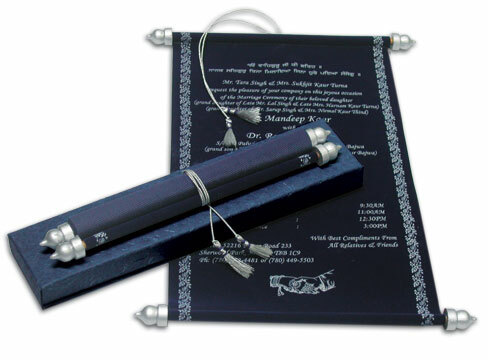 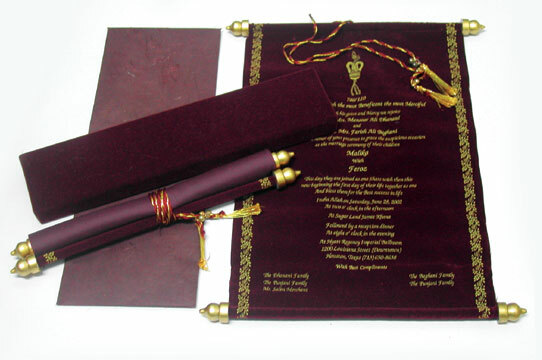 Velvet scroll & velvet box with a matching mailer envelope in handmade paper (100gsm). 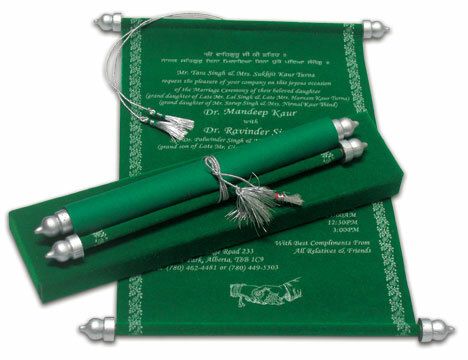 The two colors come together to give your celebration a stylish color of class. 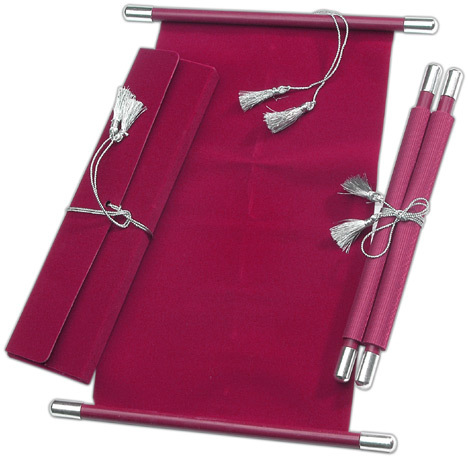 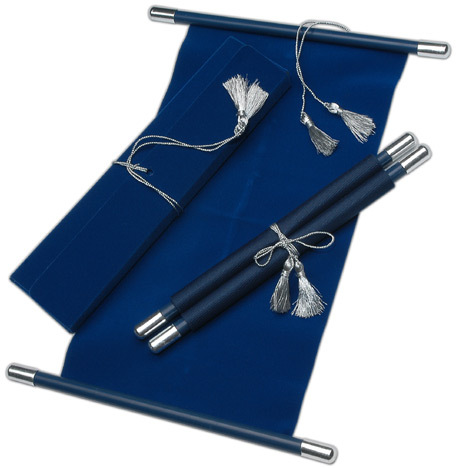 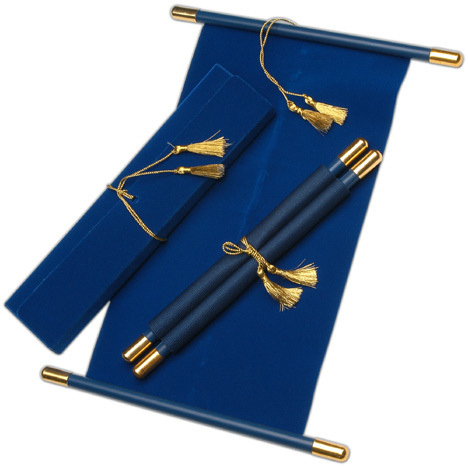 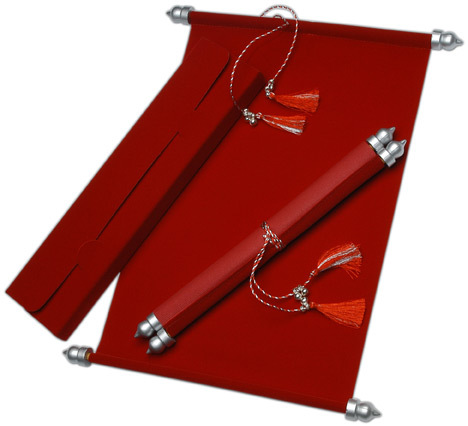 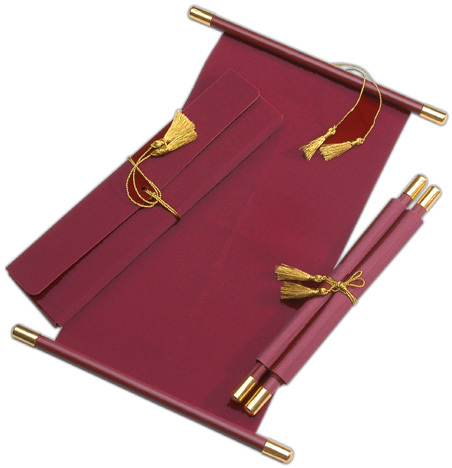 The velvet scroll is with golden or silver bars and tassel. 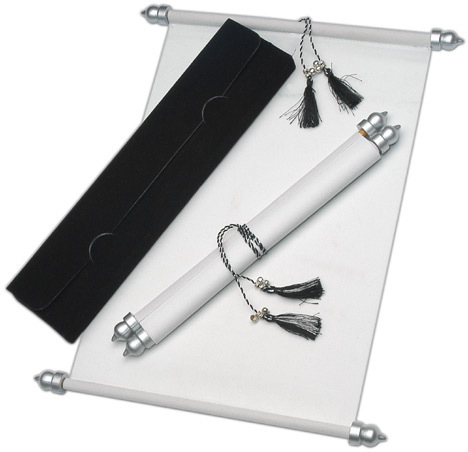 Matching mailer envelope is included.